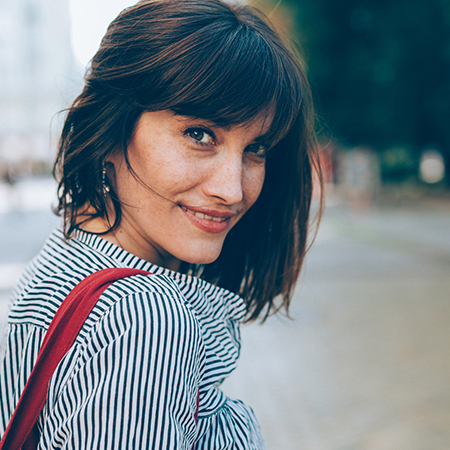 Whether you are breaking up a longer look, or softening a shorter bobbed style, consider adding a natural wavy fringe to complement your style. Fringes will always look chic and on trend, never more so than in 2018. They were big news last year and the trend shows no sign of abating. Slightly shaggy, piecey style fringes have been worn recently by A-listers like Taylor Swift and this softer layered fringe effect is most flattering for heart-shaped faces. Whatever the style, fringes remain the must-have in 2018 and will also allow you to make the most of the trend for playful over-sized barrettes and decorative grips that have graced the Spring/Summer 2018 catwalk shows of Dolce Gabbana, Versace and Simone Rocha. Balayage is derived from the French word for sweeping which, as the name suggests, is how this sun-kissed effect is achieved – highlights are swept onto the hair free-hand, with lighter concentrations of colour at the ends rather than at the roots. While this style of balayage has been popular for a while, 2018 sees blond colour being taken much closer to the root. Keeping blond colours super light overlayed with cool tones like L’Oreal’s platinum blue and 10.12 Dialight toner will lux up the balayage look this year and make this fabulous style even easier to maintain. Prepare to get nostalgic, ‘80’s hair is making a comeback – (dare we say it – even the scrunchie has been making a brave appearance on Spring catwalks – Balenciaga is selling one for £145!). We draw the line at crimping, but 80’s defining hair styles are making a resurgance – from a tucked under bob to a flicked out layer. 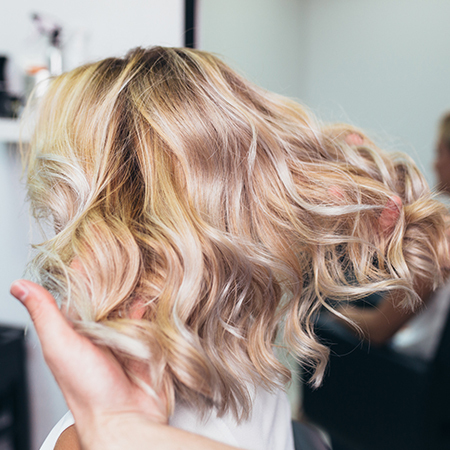 Even the perm has made a comeback with a modern twist – we use Wave Volumise technology to create soft loose curls such as those sported by Lily Collins and Khloe Kardashian. 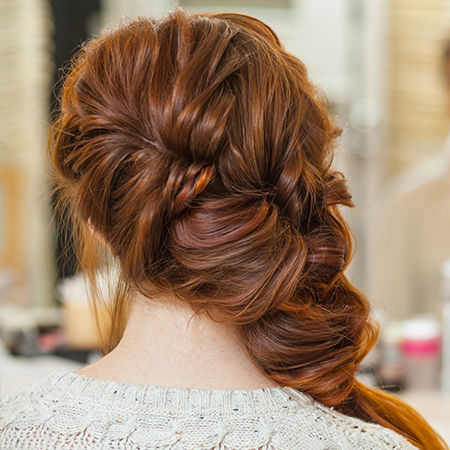 Book an appointment with our experienced stylists to see what look would suit you to revisit the glory days! From the fishtail to the angelic halo braid, the humble plait is a versatile style must-have for hair-up in 2018. Whether styling out a bad hair day or adding femininity and drama to an up-do, a plait or braid is the constantly re-invented hero of the hair world and you’ll see plenty of them gracing red carpets and runways this year. A Chair Salon favourite is a low Fishtail pony and plait – after tying it off at the bottom use a sprinkle of L’Oreal’s super dust to break it down to give it a lived in look.